The exact origin of how disco began is one that music historians have been arguing for years. Most generally agree that disco came into the mainstream in 1974, when the Hues Corporation released “Rock The Boat”, a record that began exclusively in discotheques and made its way to become a #1 single that summer. However, the phenomenon that was about to sweep American has an exact start date: December 14, 1977, the release date of one the biggest movies of the 1970’s, Saturday Night Fever. Culturally, musically, socially, it affected life far more than a $2.5 million budget was expected to do. A critical and major commercial success, it made John Travolta a superstar in his role as Tony. A lot of this is owed to how well the soundtrack from the movie did and how long it remained in the public eye. Released in November 1977, a month before the movie came into theaters, the soundtrack went to #1 on January 21, 1978 and stayed atop the Album Chart for twenty-four consecutive weeks, garnering a certification of 15x Platinum. It was indeed the #1 album of that year. Though it was already packed with some former hits of the past few years, many by the Bee Gees, it also launched a number of new chart-topping singles. This is how it all began. The first single taken from it, “How Deep Is Your Love?”, a ballad performed by the Bee Gees, entered the Hot 100 on September 24, 1977, shortly after their live rendition of “Edge Of The Universe” was descending the chart after becoming a minor hit. It debuted in the top 40 two weeks later on October 8, registering a jump from #49 to #34. Within six weeks, it was firmly placed within the top ten, and on December 24, “Deep” knocked the monster #1 single, Debby Boone‘s “You Light Up My Life”, out of the top spot and ruled the #1 position for three weeks. At the time, it tied the record for logging the most weeks in the top 40: 26, or half a year, shared with “Cherry Pink And Apple Blossom White” by Perez Prado and “So Rare” by the Jimmy Dorsey & His Orchestra. It became one of the biggest ballads of the 1970’s and ranked at #8 on the decade-end countdown. Two weeks before “Deep” hit the top, the more dance-driven “Stayin’ Alive” made its first appearance on the Hot 100, entering at #65 on the chart dated December 10, 1977. Like it’s predecessor, it took just three weeks to make the top 40, rising 52-39 on December 24. However, by this time, the movie was “alive” and well in movie theaters and the song soared up, reaching the #1 spot on February 4, 1978 and maintaining the same position for four weeks, even better than “Deep”. By the end of the month, the group had already spent five of the first eight weeks of the year holding down the top spot. Yet, the best was still waiting in the wings. 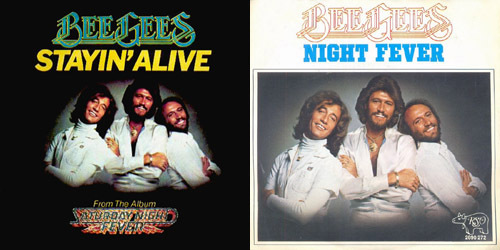 The same week that “Alive” took over the #1 spot, the third consecutive Bee Gees single from the soundtrack debuted on the Hot 100, which made them the first act to ever accomplish that feat: three songs by an act in the top 100 singles of the week in any given week. “Night Fever” debuted at a low #76, but zoomed up to #32 the next week, before entering the top ten in only its third week in the top 40. By that time, “Deep” was at #10, “Alive” was at #1 and two other Gibb compositions, brother Andy Gibb‘s “Love Is Thicker Than Water” at #2 and Samantha Sang‘s “Emotion” at #5, meant that the Gibb brothers either musically, lyrically or both occupied half of the top ten hottest records on February 25, 1978. Wait. There’s more. One week prior to the #1 status of “Alive” and entrance of “Fever”, yet another single from the soundtrack entered the Hot 100: at #89, “If I Can’t Have You” by Yvonne Elliman. Yet another composition from the Gibbs, it entered the top 40 at #40 on that February 25 date, giving the Gibbs credit on six top 40 hits for a number of weeks, four of them in the top 5 alone during one week in March. So, to tread forward a little bit, because at that point it was BeeGeeWorld and we were just living it, “Love Is Thicker Than Water” replaced “Stayin’ Alive” at the top and after a two-week run, the #1 spot was occupied by “Night Fever” for eight weeks, which was then turned over to “If I Can’t Have You’, which spent a sole frame at #1. What all that hoopla means is for fifteen straight weeks, and sixteen out of the first nineteen in 1978, a Gibb song, whether performed or written by the family, was the best-selling and most played song in the United States. How do you beat that? Well, now we turn to some of the lesser tracks from the soundtrack, not in terms of quality of relevance today, but because of their chart peaks. Two of them entered the top 40 on the same week,March 25, 1978, both re-releases of older songs for each act. At #39 was “Disco Inferno” by The Trammps, which only went as high as #53 on the Hot 100 two years earlier. In its reissue, it peaked at #11, but gets far more airplay today than its peak position would suggest. Also, at #38 that week, “Boogie Shoes” by K.C. & The Sunshine Band. “Shoes” was first featured on one of the band’s album three years prior, but became a single in its own right, reaching #35; again, it still gets a lot of play on the radio today despite its underperformance. 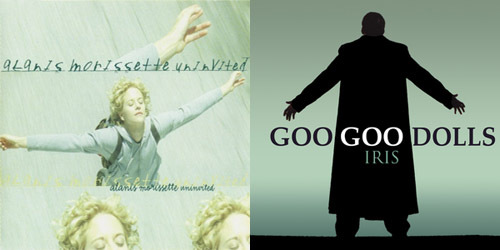 With all four Fever singles still placed within the top 40, that meant that six singles issued from the soundtrack, whether new or old, were in the top 40, a record at the time. The last of the top-40 singles from the soundtrack, “More Than A Woman” by Tavares, entered on April 15, which was reworked after an initial chart run in November-December 1977 failed to get that song out of the lower rungs of the chart. By that time, “Deep” and “Shoes” were already out of the countdown, but hey, five songs from one soundtrack in the top 40 singles in America is nothing to put down. 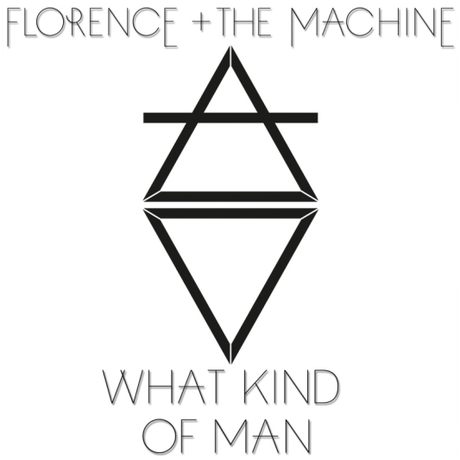 “Woman” got to #32 in early May. (The Bee Gees version of “Woman”, which received unsolicited airplay back in the day, gets most of the spins on today’s radio. I guess the label feared it would break their #1 streak back then.) By this time, essentially everything from the soundtrack was moving downward… slowly. On June 24, the last of the singles, “Inferno”, exited the top 40, and the Saturday Night Fever era was officially over on the charts. So, after all that madness, what happened to everybody? The Bee Gees made out the best post-Fever, understandably. Two more songs they penned, “Shadow Dancing” by Andy Gibb and “Grease” by Frankie Valli, both went to #1 during the summer of ’78, with “Shadow” spending a big seven weeks at the summit. Yes, that feat does mean that the group held the two longest-running number-one singles of the year. We get it, you guys. 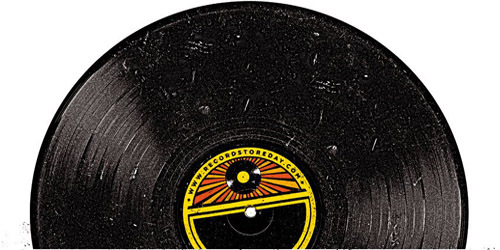 No more records. Yet, why would they have listened to that advice? The family group’s next LP, Spirits Having Flown, produced three chart-topping singles in 1979: “Too Much Heaven”, “Tragedy” and “Love You Inside Out”. After the disco backlash in later 1979, the group struggled for a number of years to place any single in the top 40, which was so shocking for an act that had easily hit the #1 spot for years on end. They eventually got back to the top ten with 1989’s “One”, a whole ten-year wait, and that was it for any sort of top-tier placing for the group. Maurice and Robin Gibb have since passed, with the latter coming just this year. Brother Andy passed in 1988 after years of alcohol and drug abuse. For some of the acts involved, their Fever single was one of their last major national successes. Yvonne Elliman went on to score one more minor chart entry, “Love Pains”, a late disco period song that only topped out at #34 in December 1979. The Trammps never scored another pop hit, through had some minor R&B entries later in ’78 before failing to chart altogether. K.C. & The Sunshine Band, who had been struggling for some time to get back to the top of chart, would get there one more time in late 1979 with, not a thumping disco number, a slower song, “Please Don’t Go”. K.C. would score two more top-40 hits that were just credited to him: 1980’s “Yes, I’m Ready”, a #2 remake of the Barbara Mason hit in a duet with Teri DeSario, and 1984’s “Give It Up”, a bouncy single which hit #18. Tavares went on to have several more years of hits on the R&B chart, but only managed one other top-40 single, “A Penny For Your Thoughts”, which peaked at #33 in early 1983. It probably wouldn’t hurt to mention that the movie’s star, John Travolta, had no sort of career backlash following Saturday Night Fever. In fact, in 1978, he would star in another movie, Grease. Just your average small release. You may have heard of it. Five songs from the soundtrack made the Hot 100, four of which Travolta sang on, and three of which became top ten hits, including the #1 duet with Olivia Newton-John, “You’re The One That I Want”. That’s just a small look back at how Saturday Night Fever affected the record charts (and the world at large.) The days of disco may be long gone, in addition to your white leisure suit, but the music and the memories remain. Now, dust off that disco ball and get down.